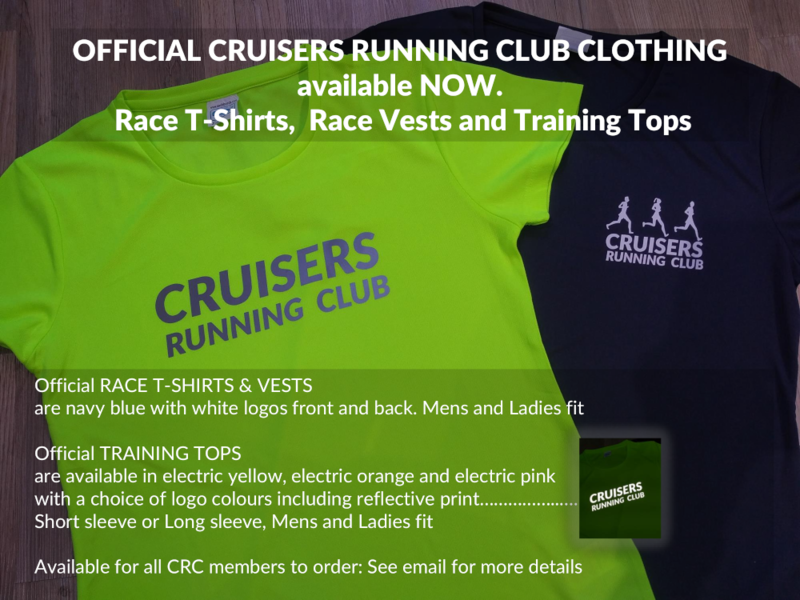 We are excited to announce that you can now purchase official Cruisers Running Club race and training gear! We've found a great supplier Just a little bit.co.uk who provide a web site specifically for our gear. You can check out the various sizes, colours and styles before ordering online with them. They print our logo onto your requested items and ship straight to your door (delivery free for orders of £40 or more).